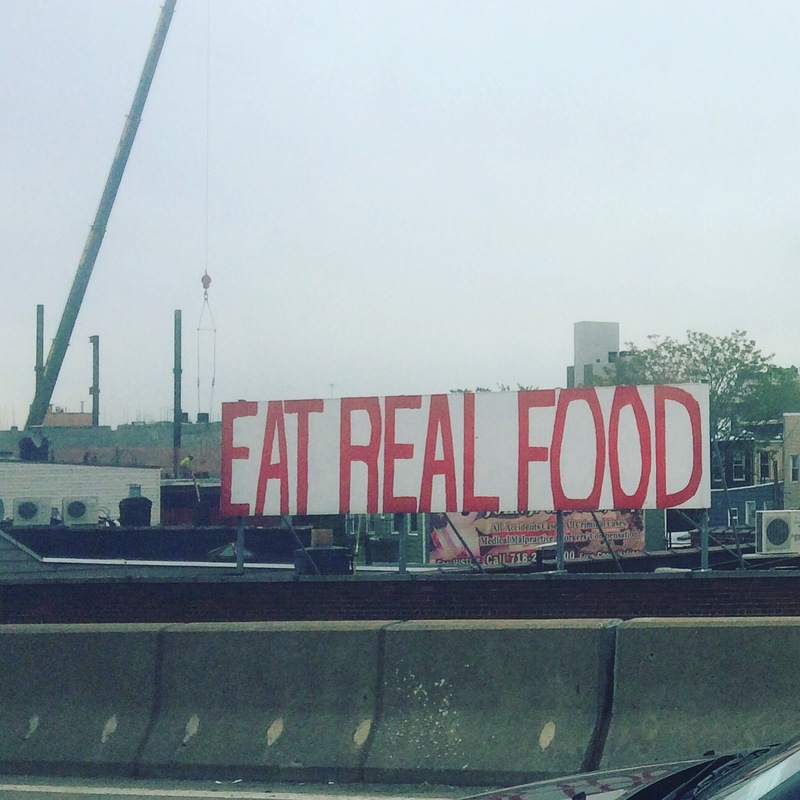 I always see this sign on the way to JFK airport. There are plenty of billboards and signs along that road, of course, but this one doesn’t change from year to year and it makes me smile every time I see it. Finally, I had the presence of mind to snap a quick photo of it as we crawled past in heavy traffic. Kaya and I flew in to NY to help my mom attend to some health stuff (Kaya was there for morale, me for logistics) but nothing dire. While we were there the story about the Egypt Air flight “disappearing” broke. Is it just me or would anyone else rather the media not talk about planes vanishing? I feel like this is something I would say to my kids, but just because you can’t find something doesn’t mean it’s gone. Anyway, as our flight home took off, there was a persistent beeping sound in the background. It didn’t last long (no doubt someone had noticed it was unsettling and turned it off) but as I listened to it I had a moment of clarity. I looked over at Kaya who was gazing out the window as the plane lifted off and I thought that if our plane were to “disappear” it would be a horrible shame for his life to be cut short. I’d have done anything to spare him that. On a certain day in September, a friend of mine was on his way into a certain building when a plane crashed into it. He looked up and saw stuff falling out of the sky. There was a woman standing next to him, frozen to the spot. He grabbed her and ran. I always thought that was pretty revealing – he wasn’t thinking, he just reacted to his circumstances purely reflexively. Seems to me, those are the moments when you know what you’re about. I sometimes wonder what my impulses would be in an emergency, and in that moment in the plane I felt a little closer to knowing what I might do. It wasn’t a hugely emotional thing, it lasted a second at most, and afterwards we both promptly fell asleep. Yes, protecting those we love would be the first thing. Hope all is well now that you are home again. Hello Siobhan , I met On-ke through Bill Barker . My name is Gail . I am Australian . I remember Baki’s birthday in Cihangar . He must have been about 3 then . Anyway . I have just found your blog …….and 2 hours later …..such interesting reading . Love it . Please give my regards to your mum & I hope she is well . I plan to follow this blog now . Gail Sobels . X PS do you know how Bill is now ? I lost contact with him . Hi Gail, and welcome to my little corner of the Internet! The last I heard, Bill was in the US. I want to say he was staying with a relative in Florida? I don’t have contact details though, unfortunately. Anyway, I’ve been falling behind on posts lately but I hope to turn over a new leaf and keep things interesting for you!